Look forward to new products next year online and at trade fairs of the logistics industry. A brief outlook at the LogiMAT in February can be found already in this newsletter. In addition to innovative and practical solutions in telematics and mobile order management, it is primarily our services and expert advice that our customers appreciate. Power management is the topic of our current White Paper written by Joseph Bielefeld. In the essay he shows you how to manage the power consumption of your MDTs optimally when they are running with our telematics software PSV3. 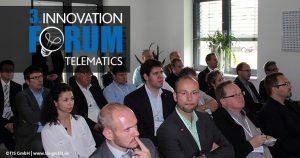 On the third Innovation Forum in Bocholt TIS offered a wide range of logistics related topics and current trends in mobile data communications. In addition to the theme of “B2C” in general cargo innovations in professional smartphones and the legal framework for BYOD were on the agenda. For us the POST-EXPO in Stockholm was our second visit to a fair in the still quite new “CEP biotope”. As we have started to realize some projects in the parcel area now, this market has become an exciting field for us. Today we would once again like to remind you of our in-house event on October 16th. You are cordially invited to visit us! We managed to get numerous partners and speakers on board for our event. Look forward to interesting presentations and discussions on issues currently affecting the industry. The Telematics Magazine is the new professional blog for the logistics industry. 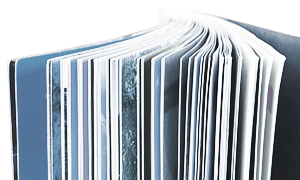 Since September we write about current industry and market developments, new technologies – and our work at TIS. The himolla Logistik GmbH is a subsidiary of upholstered furniture manufacturer himolla based in Taufkirchen. As a former intra-company transportation fleet transported the freight forwarder with 35 owned trucks not only transports their own products, but also furniture and mattresses of other brands such as Schlaraffia, Pullman or Ölsa. 2,500 to 3,000 cubic meters (26,900 to 32,290 sqf) of goods are traded per day. After the success of last year in Vienna, we will also be represented at the Post-Expo 2014. TIS cordially invites you: Come and visit us at Post-Expo in Stockholm – the international trade fair for the CEP industry! "We like working with TIS because the devices recommended by TIS meet our high standards of quality and robustness. The driver software TISLOG mobile Enterprise impresses with its simple operating concept." "We enjoy working with TIS, because TIS is a reliable project partner who quickly implements professional solutions tailored to our growing needs." "To us the TIS is a competent service provider, who convinces us of his reliability and flexibility again and again even after many years of working together." "We opted for PSV3 because TIS always strive for staying up-to-date with their system and at the time of the evaluation the product came with the best value for money. We also already had very good experience with TIS and their predecessor "Psion" (the scanner with laser pen)." "We enjoy working with TIS, because we appreciate the personal contact with the TIS staff that has grown over many years. We perceive the cooperation as very trustful. TIS is a very innovative partner supporting us optimally with the ever-increasing requirements in the field of transportation and logistics. Especially in terms of new projects TIS assists quickly and competently." "The Zebra MC65 / MC67, recommended by TIS, have long proved their worth in the harsh part-load workdays of our truck drivers. Looking back, we can say that this was a good recommendation. 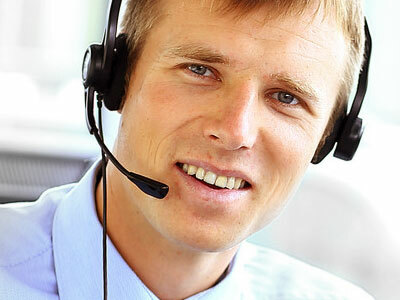 On average we only get a device back in the IT department once every 4 weeks, to clarify any problems. In addition, thanks to an integrated camera, it is possible to quickly make photos of the shipments. These are then automatically linked to the shipment information in our forwarding program."